We have over twenty years experience custom making watersports helmets for surfers, sailors, kayakers and more, including providing protective head gear for professional athletes including big wave surfer Al Mennie. Our marine safety helmets are used by rescue organisations worldwide, including the RNLI, Police, RAF and coastguards. Gecko Marine Helmets are built to last meaning that you can enjoy the unrivalled comfort, versatility and protection offered by the Gecko for many years. All Gecko helmets come fitted with our patented inflatable liner, providing a perfect fit every time and keeping your head warm and buoyant when you need it most. The company was formed in 1993 by Jeff Sacree’ who, when making custom surfboards for local surfers in Devon and Cornwall, developed a lightweight heat-retaining helmet for himself to prevent “ice-cream headaches”. The surf helmet proved even more popular than his surfboards and so, the Gecko Head Gear story began. 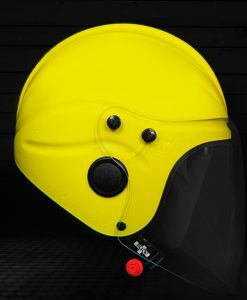 Following the success of the Gecko surf helmet, in 1995 the RNLI came to Gecko Head Gear for a head protection solution to replace the motorcycle helmets that were being worn by lifeboat crews at the time. Jeff Sacree’ worked closely with the RNLI to develop an open face marine safety helmet that would meet their specific requirements. Today, this open face design continues to be the helmet worn by RNLI lifeboat crews across the UK. Gecko Head Gear now have a full range of marine safety and watersports helmets. The open face marine safety helmet is the most popular for commercial marine organisations. Alternatively, there is a cut away model for loud environments and a full face helmet for use on powerboats and jet skis. The surf helmet is a popular choice among surfers, surf kayakers, wakeboarders and kitesurfers. 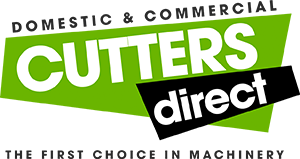 We constantly strive to improve our products by designing new helmet models and improving the comfort, durability and versatility of existing ones, keep an eye on our blog, Facebook and Twitter pages for updates.